After a historic performance in the 2014 Lok Sabha (LS) elections, the Bharatiya Janata Party (BJP) faced their first major test when the by-polls for 33 vacant Assembly seats were held across ten states of the country last week. The results for 32 constituencies were announced on Tuesday and the BJP suffered a massive setback for the upcoming elections in Maharashtra and Haryana, losing 12 of the 25 seats it had held. Here are five things BJP should learn from the results of the by-elections. The results were an endorsement against the communal politics that the BJP had promoted in states like Uttar Pradesh (UP). The party’s UP campaign was led by Yogi Adityanath, a Hindu priest who was later reprimanded by the Election Commission of India for “provoking feelings of enmity” during a speech in Noida. Subramanian Swamy admitted that Hindutva was the ‘main campaign force’ of the BJP, especially in West Bengal, where they won their first Vidhan Sabha seat after 15 years. But such campaigns do not last for long. BJP moved away from their promise of “development and good governance” to a communal approach with “overstated themes” like love-jihad. UP Chief Minister Akhilesh Yadav further voiced the general consensus, stating, “People of the state have given a befitting reply to the communal forces and have expressed intention that they need harmony and brotherhood” (via Economic Times). It’s time BJP realize that their Hindutva approach won’t work anymore. People want a better socio-economic situation, not communal polarization. The “Narendra Modi Wave” helped BJP and its allies win majority of the seats in states like UP (73 out of 80) and Rajasthan (25 out of 25) during the LS elections. The “wave”, which has now gone bland, camouflaged BJP’s organizational flaws in these states. During the by-polls, BJP failed to recognize the local problems (poor infrastructure and lack of safety for women in UP) and lacked genuine leaders, with honchos like Amit Shah (who masterminded the party’s UP LS campaign), Arun Jaitley and Rajnath Singh all heavily involved in national politics now. True, the absence of Bahujan Samaj Party (BSP) helped Samajwadi Party (SP) get more votes in UP but Yogi Adityanath himself admitted that their strategy in the state was “flawed”, while in Rajasthan, it is believed that the people were not content with Vasundhara Raje’s governance. Changes need to be made soon or BJP may face a similar situation in Haryana come October. They don’t have a true leader in the state (they are yet to announce their Chief Minister candidate) and their “mission” of winning 60 seats looks a rather tough one. According to Yogendra Yadav of the Aam Admi Party (AAP), the results give an “in-escapable conclusion”, that the current pattern in domestic politics is “not favoring the BJP”. He claims that the ruling party in the center tends to do well in the by-polls but the people are appearing to have already lost faith in the governance of the saffron party. Mukul Roy believes that the public is already “withdrawing support” from the BJP, while Ashlok Gehlot of Congress claims that the voters are showing their “frustration with the BJP government”. It is too soon to make any judgment on Modi’s government, but rival political parties are trying to mount huge pressure on the BJP through mind games and the media. This, however, comes after a report from The Hindu claiming that the by-poll results have actually followed a historic pattern of the ruling parties of the state (SP in UP and Congress in Rajasthan) winning more votes than the party in power in the center. 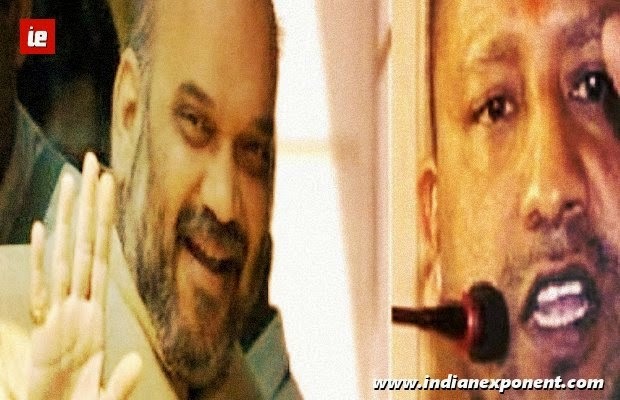 Renowned journalist Vir Sanghvi explained that the BJP’s Lok Sabha agenda was based on industrial growth, but as soon as Modi came into power, the other members of the party soon craved out of their cells, demanding the removal of the Section 370 of the constitution and the civil code, while also foolishly talking about the love-jihad. Noticing that his colleagues were moving away from their development project, Modi retreated into the background for the by-polls and the party faced a humiliating loss. People voted for BJP because Modi promised growth, not because of their Hindutva ideology. Twitter might be trending with “#ModiFailsTest”, but the by-poll remind the party of the importance of their leader and how weak they are in the absence of Modi. Their vote share has significantly dropped since the LS elections, something that should concern the party’s narrow-minded members. BJP were in a stand-off with the Shiv Sena regarding the seat distribution in Maharashtra for the elections to be held later this year. BJP were adamant for deal where 18 seats were to go to the minority parties of the NDA alliance and the rest were to be split equally between the saffron outfit and Shiv Sena. But the latter rejected the deal. After a meeting in Mumbai among BJP’s Election Committee members on Wednesday night, it appears they have delved into the demands of their counterparts. NDTV reports that the party has agreed to contest on 119 seats as the BJP plan to avoid alienating a key ally. Though it appears Shiv Sena is all set to take full advantage of BJP’s recent failures. I am a student who likes writing, football and politics. My twitter handle is @suryasolanki12, albeit it needs to be point out I truly despise social media.